Evil takes on many forms. This is something Rachael Daniels, a lowly care worker, is about to find out . . . personally. Because something is roaming the streets of the city where she lives, something with a taste for human blood: sweet, red blood. Something that can be anything it wants to be. Soon Rachael will learn that not even friendly faces can be trusted. But, as she makes her way across that city at night on an errand of mercy, she discovers this terrifying creature will definitely have none for her. In the aftermath of the events in RED, the hunt is back on—but who is the hunter and who is the prey? As a team of trackers—fuelled by revenge—attempt to take down the monster that has been causing havoc in its wake, they are forced to seek help from an unexpected source. And after the resultant struggles and battles, things will never be the same ever again. A modern, urban reworking of a classic fairy tale, the novella RED & novel Blood RED put the horror spin on an old favourite. If you dare to open these pages, you'll find a terrifying trip into the unknown courtesy of bestselling and award-winning author Paul Kane (the sellout Hooded Man series, Lunar, Monsters). With an introduction from bestselling author Alison Littlewood (Path of Needles, The Unquiet House), cover art and design by Dave McKean (Cages, MirrorMask), plus a whole host of extras exclusive to the Signed Limited Hardcover Edition—including an extract from the award-winning movie script adaptation of RED—this is a collector's item not to be missed. "Paul Kane is a first rate storyteller, never failing to marry his insights into the world and its anguish with the pleasures of phrases eloquently turned." "RED not only tips its hat to "Little Red Riding Hood," but "Peter And The Wolf," and "Who's Afraid Of The Big Bad Wolf?" and every werewolf type motif in between... This time around Kane puts a twisted horror spin to it, with even a fair amount of social criticism thrown in for good measure... Kane does an incredible job of combining horror and humor into one tasty morsel." "Kane expands on the "Little Red Riding Hood" mythos with a sharply-written novella that pits a descendent of the classic fairy tale character against the "real" creature of the same story. But make NO mistake: this isn't for kids! You can tell Kane had a real ball twisting time updating "Riding Hood", especially in how he has crafted this new, psycho-sexual "wolf." For the sake of not ruining anything else, let's just say RED is a real BLOODY good time." "RED is a gleefully gruesome tale that moves at an excellent pace. Its length is a joy, reminiscent of a line from another fairy tale: "Not too big, not too small, just right." Paul Kane does a rip-roaring rendition of the Red Riding Hood story... He has the gift of summing up a situation in a sentence. RED is wonderfully written; it is easy to sink one's teeth into it and devour it with relish." "This is a good scary story for those stormy nights or bright days. It is strong enough to terrify either way and will stay in your mind for days afterwards. Stories like this don't come along very often, as all readers know." "RED is bloody brilliant—clever, classy and bound to chill you to the bone!" "Paul Kane has enriched the werewolf mythos with a seamless re-imagining of a hypnotically suggestive fairy tale, embellishing it with the harsh, alluring scent of an ages-old psychosexual predator who easily rivals that other undead villain from Eastern European folklore, the vampire. A relentless and grisly fairy tale for dark times, RED is filled with the blackest blood from the deepest parts of our bodies, and is thoroughly recommended." "From RED's shocking first chapter through wicked twists and turns to the end, the story surprises, intrigues and beguiles you. Paul Kane's taut, muscular, yet descriptive prose conjures up disturbing images in your mind that you won't be able to dislodge for months. 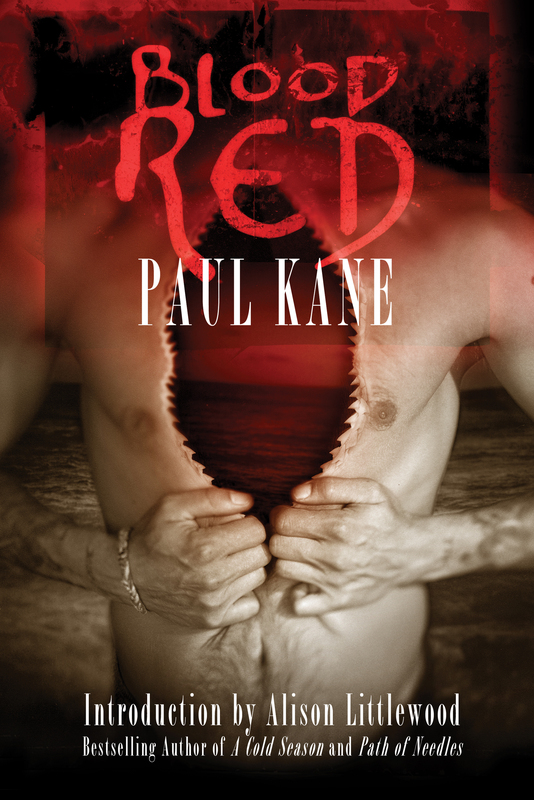 Kane's writing is frighteningly realistic... RED is a beautifully visceral, dark tale and if any novella was ripe for a film adaptation, it's this one."